GKN Sinter Metals has developed a new ecommerce platform for metal additive manufacturing. 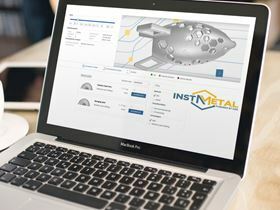 The platform will reportedly allow users to order prototypes made by Metal AM online by uploading a 3D model. Orders can be placed 24/7 anywhere around the globe and generate instant quoting. GKN developed the platform software together with 3YOURMIND, a leader in innovative 3D printing software solutions. ‘Our aim is to make the ordering of metal AM prototypes as easy as placing an order on Amazon for our customers,’ said Dr Peter Oberparleiter, CEO of GKN Powder Metallurgy. The beta tester can be found here.